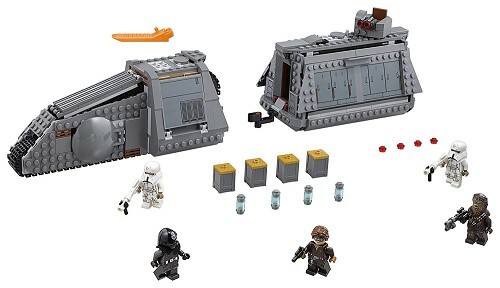 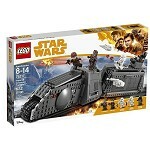 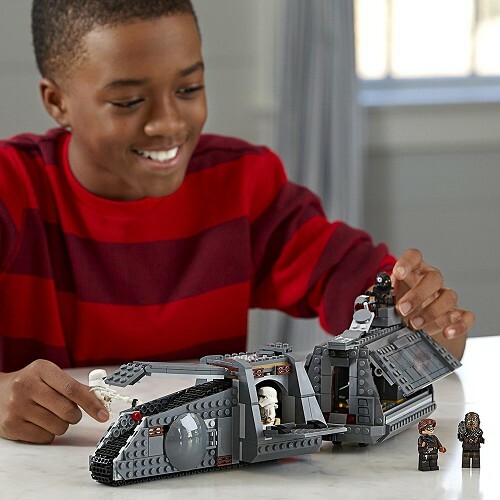 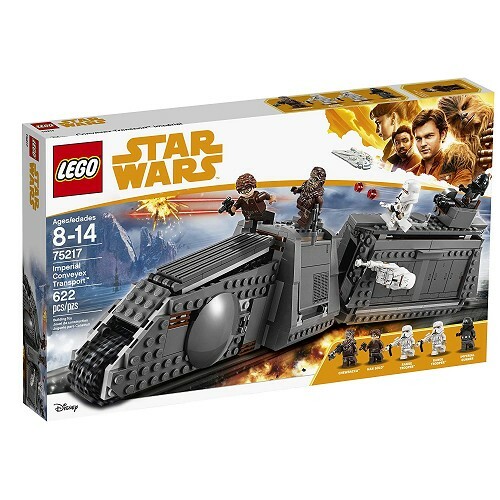 Relive high-speed smuggling adventures from solo: a Star Wars story, with this LEGO Star Wars Imperial conveyex transport set! 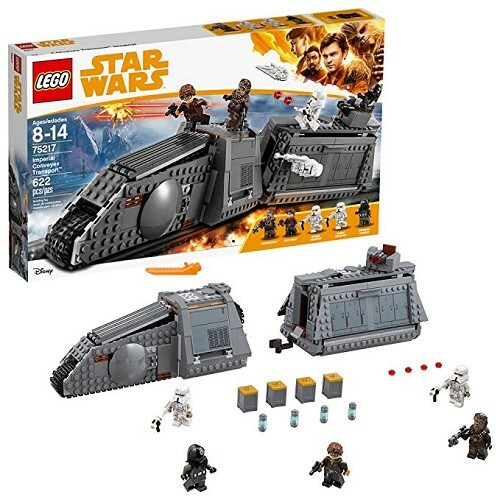 The armored locomotive features an engine section with a wraparound track, opening driver's compartment and weapon store, plus a detachable cargo wagon with opening sides, movable gun turret with stud shooters, space for the 4 included coaxium containers and a ladder inside with an opening hatch on the roof for making daring escapes! 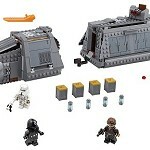 this exciting set includes 5 LEGO mini figures! 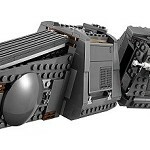 Build a monstrous locomotive with wraparound tank track, turret and detachable cargo wagon!